The Star Wars Battlefront 2 community went into meltdown this weekend, over a story that popular YouTube fan channel Star Wars HQ dubbed ‘Droidekagate’. 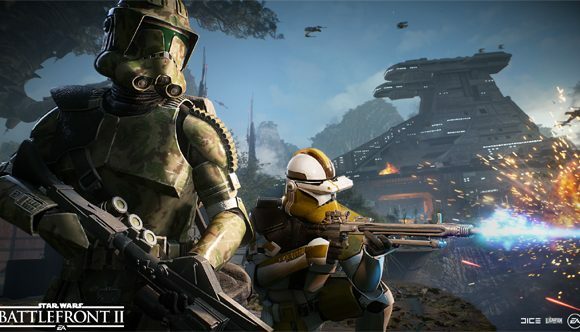 It began last week when fans seemingly spotted an unannounced character class in the background of a new screenshot, only to have DICE first deny it, then admit it but say it’s an “unused asset” and they have “no active plans” to put this character in the game. The class in question is a Droideka, otherwise known as a Destroyer Droid, a rolling miniature tank with shields. Droidekas made a memorable first appearance in The Phantom Menace, where they were the only enemies that could stand up to the Jedi. Most notably, they appeared as a playable character class in Pandemic’s Star Wars Battlefront II in 2005, where they were quite popular due their unique mix of fast movement/vulnerable and slow movement/powerful. The screenshot appeared in a DICE community post about the new Elite Corps Update, which is due on August 29. 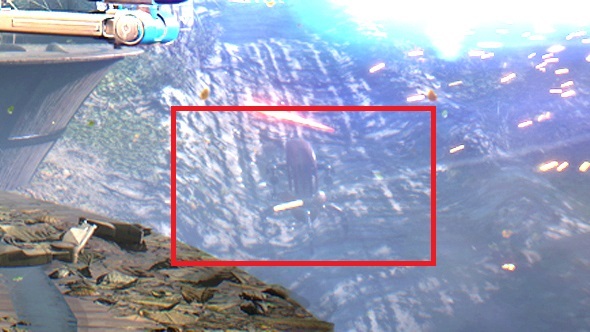 On the Battlefront subreddit user The Chosen One excitedly posted ‘That’s An Droideka‘ with a zoom-in on the background at the bottom right corner of the picture, which does seem to show the distinctive back of a Destroyer Droid. Eventually in a post on Reddit the developer admits that they loaded up the scene and discovered that it was indeed a Droideka – although it was an unused static asset that somehow made its way into the backdrop. “It has zero integration into the game, meaning it is currently missing, rigging, animation, VFX, audio, abilities, UI and more.” The studio reiterated that it has “no active plans” to put Droidekas into Battlefront 2. Fans were not happy. The post currently has around 798 comments, none of them complimentary. “Now the game’s future is even less exciting because it’s something a lot of us want and you’re confirming it’s not coming,” says user superjediplayer. “Very unprofessional, and created a lot of hype from the community which has now been crushed,” adds shrekcurry502. Another controversy, just what Star Wars Battlefront 2 needed.